An ancient game dating back to as early as 600 BC, polo was first played by military men in North Persia in preparation for the battlefield with as many as 100 men a side. 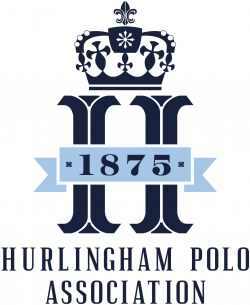 The word ‘polo’ has its roots in the Tibetan name for ball and also the root of the Tibetan ‘pulu’ willow tree, from which the balls were fashioned.Known as the ‘game of kings’, polo spread throughout Asia and then throughout the world, as primarily the pastime of nobility and warriors. The first European polo club was established in India by British tea planters in 1859, and before long, the sport became a standard part of a British cavalry officer’s training. Today, more than 77 countries play polo. It was an Olympic sport from 1900 to 1939 and has now been recognised again by the International Olympic Committee. Whereas the game was once primarily played by royalty and later cavalry, today the sport has become more accessible and attracts a broader spectrum of society. There are usually six periods (chukkas) of seven minutes. There are four players in each team. The No. 1 and No. 2 are basically forwards. The No. 3 and No. 4 are equivalent to five-eighth and back in Rugby. The players should mark their opposite number; that is the No. 4 should mark the No. 1, preventing him from scoring by hooking and riding off. There is no ‘offside’ rule. The rules are common sense based on a player having the ‘right of way’ in order to eliminate danger. All registered players are rated on a scale of –2 to 10 (the higher the better). The handicap of the team is the sum total rating of its players, and in handicap matches the team with the higher handicap gives the difference in ratings to the other team. A player is permitted to ride into another player so as to spoil his shot. The angle of the collision must be slight causing no more than a jar. The faster the horse travels, the smaller the angle must be. The sideboards will not exceed 28 cm high: the boards are positioned along the sidelines only. There are six chukkas in a polo game (four in arena polo and low goal polo) each lasting seven minutes plus up to 30 seconds in overtime. If, during the 30 seconds, the ball hits the sideboards or goes out of bounds, or if the umpire blows his whistle, the chukka is over. There is no overtime at the end of the sixth chukka unless the score is tied, at that time a seventh chukka will be played until the first goal is scored. A player returns to each chukka on a different horse. Although he may rest one for a chukka or two and play him again. The goal posts, which are collapsible on severe impact, are 7.3 metres apart and 3 metres high. Any time a ball crosses the line between the goal posts, it is considered a goal regardless of whether a horse or a mallet cause the ball to go through. In order to equalise turf and wind conditions, the teams change ends after every goal scored. The best polo ponies are of thoroughbred blood whose main qualities are heart, speed, wind, stamina and the ability to accelerate, stop and turn quickly, and whose temperament is amenable to the rigors of the game. There is no height limit for the horses, although most are between 15 and 15.3 hands. The age of a pony is generally between 5 and 15 years. Players concede the pony accounts for up to 80% of their game.